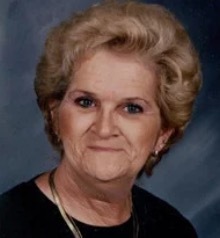 Betty L. "Chink" Brown, 66, a resident of Old Fort, Tennessee, passed away Thursday evening at the family residence. Chink or Chinky, as she was affectionately known, was born in Cleveland, April 2, 1952 and she was the daughter of the late Georgia Howard Shular and James Albert Shular. Her husband, Thomas Brown Jr. and her grandson, Jonathon Nathaniel Brown also preceded her in death. Betty was a homemaker and she loved taken care of her family. She loved to cook, sew and spending time with her family. She enjoyed sitting outside and talking to her neighbors and family. Betty was a loving mother and grandmother and she was a member of the Covenant Baptist Church. Survivors include her sons, Jeff Brown of Old Fort, Jamie Brown and his wife Misty of Ocoee and Jeremy Phillip Brown and his companion, Robin Andrews of Old Fort, her grandsons, Jordan Brown, Justin Thomas Brown and Tyler Brown and several nieces, nephews and cousins also survive. The Remembrance of Life Service will be conducted Tuesday, March 26, at 6 p.m. at the Jim Rush Funeral and Cremation Services Wildwood Chapel with Reverend Gary Higgins officiating. Interment will follow in the Mountain Springs Baptist Church Cemetery with Jordan, Tyler and Justin Brown, Brandon, Michael and Bobby Killian serving as casket bearers. The family will receive friends from 4-6 p.m. on Tuesday at the Jim Rush Funeral and Cremation Services Wildwood Chapel has charge of the arrangements. You may share your condolences and your memories with Betty's family at www.jimrushfuneralhomes.com.